Our JFK-JFK International Airport Limo Transportation service is more personalized and direct than taxi service or airport shuttle service. PRO Car and Limo proudly serves JFK-JFK International Airport with professional, affordable airport transportation to and from Monmouth and Ocean Counties. Our professional Chauffeurs are intimately familiar with all of the terminals and gates in the airport. They also know all the traffic patterns in the area and can avoid accidents, rush hour traffic, and road construction when necessary. When it comes to airport car service providers in Ocean and Monmouth Counties, your choice is clear…..GO with the PROS! 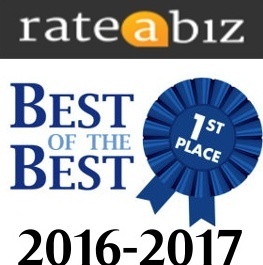 2017’s Asbury Park Press Readers Choice Award Winner. 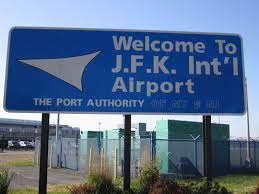 John F Kennedy International Airport (JFK) is a major airport in the bourough of Queens in New York City, owned by the City of New York and operated by the Port Authority of New York and New Jersey under a long-term operating lease. It is about 12 miles southeast of Lower Manhattan. It is the busiest international air passenger gateway in the United States, handling more international traffic than any other airport in North America. It is also the third-leading freight gateway to the country by value of shipments. In 2015, the airport handled 50,423,765 passengers,making it the 19th-busiest airport in the world and sixth-busiest in the United States by passenger traffic. Together, JFK-JFK International Airport, LaGuardia, and Newark Liberty, all operated by the Port Authority of New York and New Jersey, are the largest airport system in the United States, second in the world in terms of passenger traffic, and first in the world by total flight operations.